Brig. Gen. Robert Kilgore chief of staff of the New York Air National Guard Latham N.Y. looks on as his one star rank is pinned on by his wife Col. Michelle Kilgore commander of the 109th Airlift Wing , based at Stratton Air National Guard Base Schenectady N.Y. and his brother retired Army Maj. Tom Kilgore during a promotion ceremony at Niagara Falls Air Reserve Station N.Y. March 10 2019. 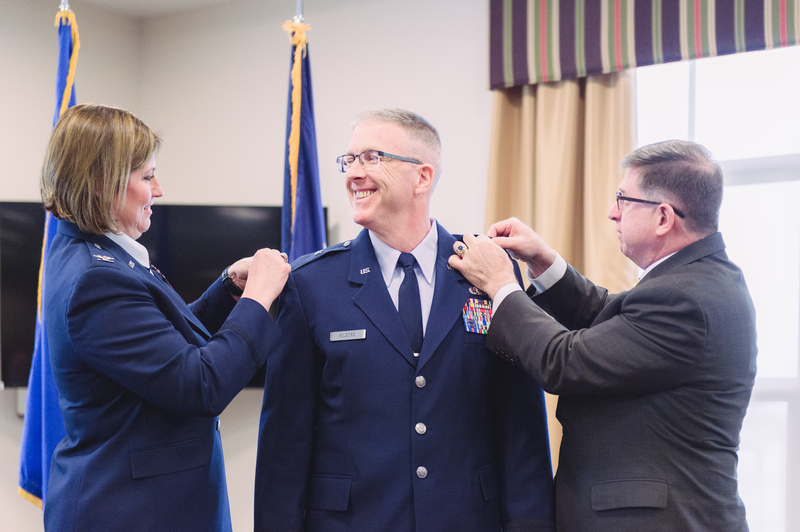 Kilgore was promoted to the rank of brigadier general after commanding the 107th Attack Wing NYANG here from January of 2015 to November of 2018.